Executive function (EF) performance is associated with measurements of white matter microstructure (WMS) in typical individuals. Impaired EF is a hallmark symptom of autism spectrum disorders (ASD) but it is unclear how impaired EF relates to variability in WMS. Twenty-one male youth (8–18 years) with ASD and without intellectual disability and twenty-one typical male participants (TP) matched for age, intelligence quotient, handedness, race and parental socioeconomic status were recruited. Five EF domains were assessed and several DTI-based measurements of WMS [fractional anisotropy (FA), mean diffusivity (MD) and radial diffusivity (RD)] were estimated for eighteen white matter tracts. The ASD group had lower scores for attention (F = 8.37, p = 0.006) and response inhibition (F = 13.09, p = 0.001). 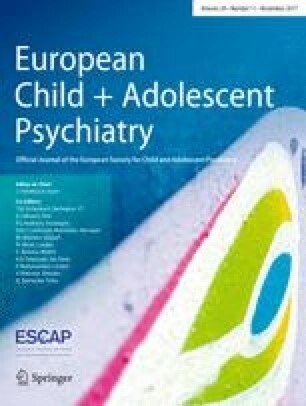 Age-dependent changes of EF performance and WMS measurements were present in TP but attenuated in the ASD group. The strongest diagnosis-by-age effect was found for forceps minor, left anterior thalamic radiation and left cingulum angular bundle (all p’s ≤ 0.002). In these tracts subjects with ASD tended to have equal or increased FA and/or reduced MD and/or RD at younger ages while controls had increased FA and/or reduced MD and/or RD thereafter. Only for TP individuals, increased FA in the left anterior thalamic radiation was associated with better response inhibition, while reduced RD in forceps minor and left cingulum angular bundle was related to better problem solving and working memory performance respectively. These findings provide novel insight into the age-dependency of EF performance and WMS in ASD, which can be instructive to cognitive training programs. The online version of this article (doi: 10.1007/s00787-017-0990-2) contains supplementary material, which is available to authorized users. Kenia Martínez and Jessica Merchán-Naranjo have equally contributed to this work. This study is supported by the Spanish Ministry of Economy and Competitiveness, Instituto de Salud Carlos III, CIBERSAM, the Ramon y Cajal Program, the CDTI under the CENIT Program (AMIT Project), Madrid Regional Government (S2010/BMD-2422 AGES), European Union Structural Funds and European Union Seventh Framework Programme under grant agreements FP7-HEALTH-2009-2.2.1-2-241909 (Project EU-GEI), FP7-HEALTH-2009-2.2.1-3-242114 (Project OPTiMISE), FP7-HEALTH-2013-2.2.1-2-603196 (Project PSYSCAN), and FP7-HEALTH-2013-2.2.1-2-602478 (Project METSY); the ERA-NET NEURON (Network of European Funding for Neuroscience Research) (PIM2010ERN-00642), Fundación Alicia Koplowitz (FAK2012, FAK2013), Fundación Mutua Madrileña (FMM2009), and Caja Navarra. The authors would like to thank all individuals and their families for participating. None of the authors have a conflict of interest to declare.